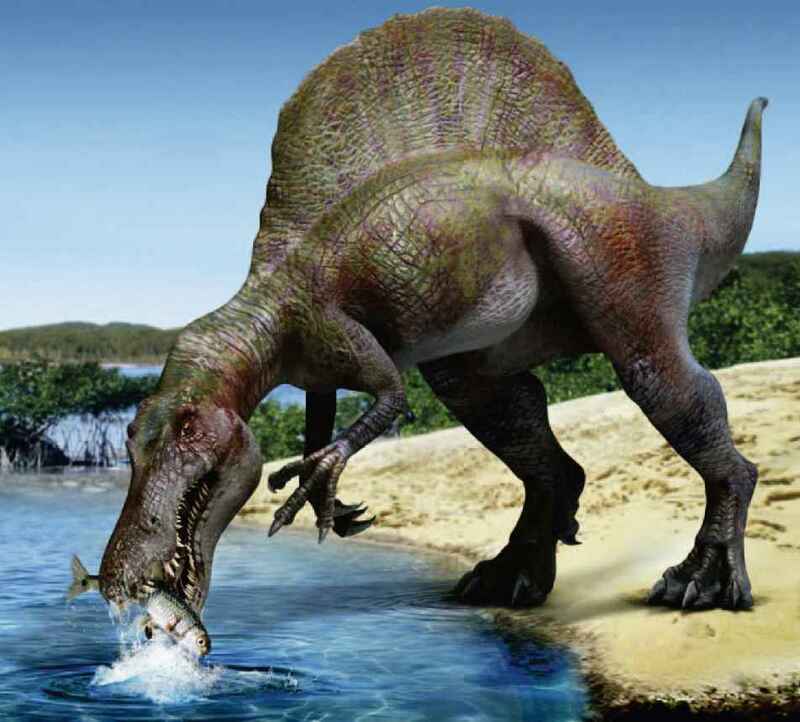 The distinguishing feature of Cryolophosaurus was its bony head crest and short horns that grew between its eyes. The crest may have been used during courtship displays to attract a mate or to warn rivals away. The bone was thin and fragile, so the crest would not have functioned as a weapon. At 14,855 ft (4,528 m) Mount Kirkpatrick is the highest peak in the Queen Alexandra mountain range. As it is mainly free of ice, it is the major source of Antarctica's fossils, which are mixed among its scree and gravel. Although ferns do not grow on Antarctica today, they did when dinosaurs lived there. The fossil fern frond shown above was found among the rocks as evidence. Ferns provided plant-eaters with a rich source of food. A paleontologist at Augustana College, Illinois, William Hammer (b. 1950) has made many field trips to Antarctica. In 1991 he excavated Cryolophosaurus— Antarctica's first dinosaur and the only theropod that has not been found on any other continent. His work has identified other dinosaur species, including a prosauropod, a pterosaur, and mammal-like reptiles. This strange-looking animal was not a dinosaur. It was a therapsid—an animal with a mammal-like skull and a reptilelike walk. Lystrosaurus was a plant-eater, had short tusks, and was capable of digging burrows.